A 10-year-old Smiths Falls boy has written a song for a baby girl from his community with a rare, incurable disease to help raise money for her treatment. A 10-year-old Smiths Falls boy is hoping for a lifelong friendship after writing a song for a baby girl from his community with a rare, incurable disease to help raise money for her treatment. Landon Bedor heard about Everley Yolkowskie's condition from his mother. He was inspired to write a song, then went to the Children's Hospital of Eastern Ontario to perform it for her. "She was smiling and she made me feel really awesome," Landon said. "I told my mom, 'Why don't I sing this song on her birthday every year, and I can watch her grow up from a little baby to a beautiful woman.' "
Landon's mom started an online fundraising campaign called Everley's Angels, collecting money so the little baby can receive specialized care in Chicago. Everley was born with a rare genetic condition called "Congenital Central Hypoventilation Syndrome" and relies on technology to breathe. Jordan Yolkowskie said his daughter has been fighting for her life since she was born on Jan. 14. "Immediate symptoms. She turned blue and they had to resuscitate her," he said. "She's taught me a lot of things. How to be strong." 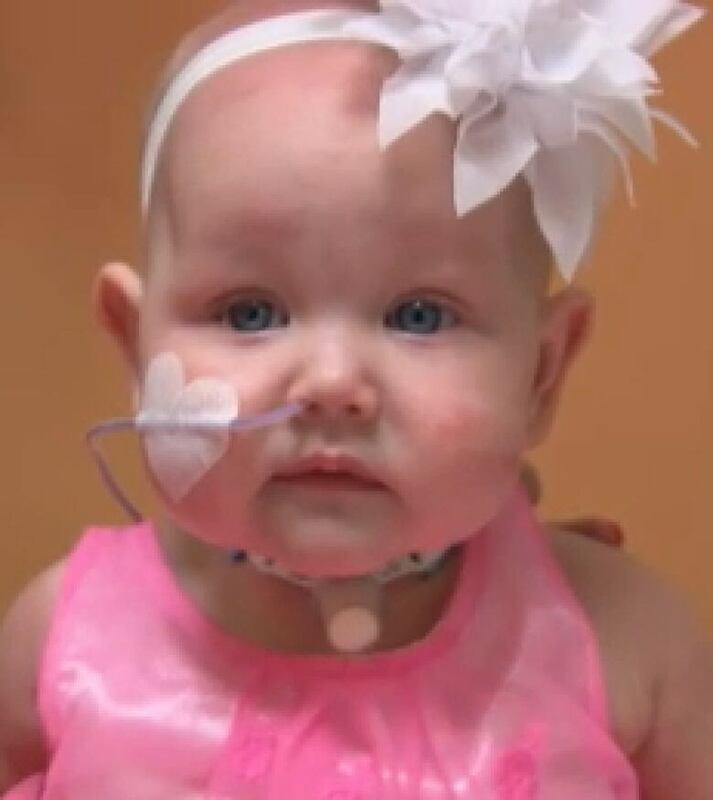 Everley has spent most of her six months in the hospital. Her mother Sarah Patterson said her daughter stops breathing when she's sleeping. "We hook her up to a ventilator at night," she said. 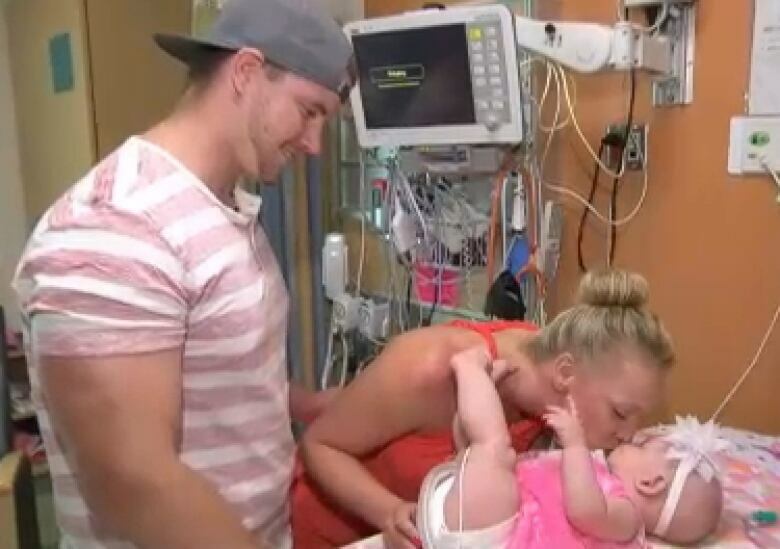 Jordan Yolkowskie and Sarah Patterson with their daughter Everley at the Children's Hospital of Eastern Ontario. (CBC)Patterson said CHEO has filed the paperwork to send her daughter for treatment in Chicago but the intake fee is $180,000. She's hoping the Ontario Health Insurance Plan will cover the cost of the treatment because her daughter's condition is so rare. "Our aim is to give her the absolute best chance that we can at living a healthy and happy, normal life like any other child," she said. She said fundraising and support so far has allowed her family to be together at the hospital when their home is 80 kilometres away in Smiths Falls. She described the first time Landon performed for Everley last week. "It's kids helping kids. It's amazing. The passion and the love that he had. He got down on one knee and he looked her in the eyes the whole time," she said. "It just honestly touched us so deeply."